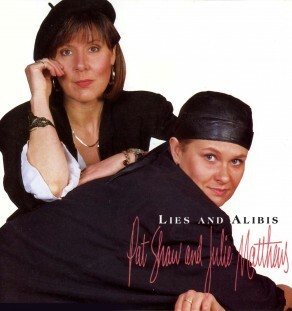 The musical partnership of multi-instrumentalist and vocalist Julie Matthews and vocalist and guitarist Pat Shaw represented the temporary meeting of two thriving careers. Their duo album Lies and Alibis was nominated for a British Country Music award in 1995, while their collaboration with Kathleen and Rosalie Deighton, Kate Rusby, and Kathryn Roberts yielded a memorable album, Intuition. All the following releases can also be downloaded from iTunes.